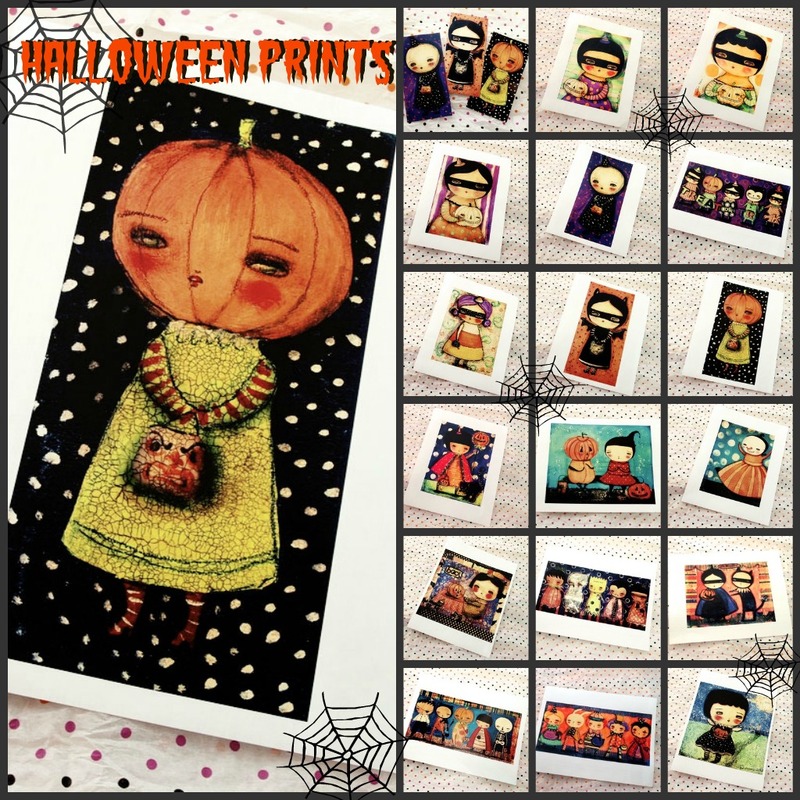 My most favorite time of the year is getting nearer, and to start celebrating I revamped a set of prints with a new vintage look that I love. 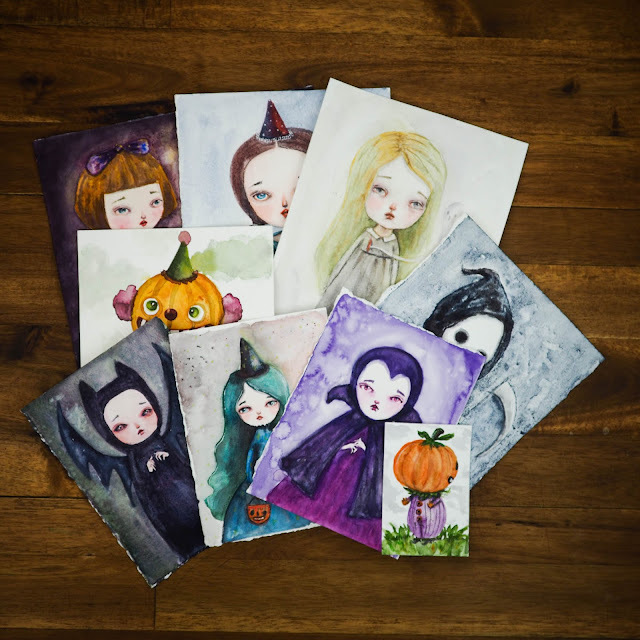 If you like to decorate your home for Halloween, these are GREAT to create accents for this wonderful time of the year! All the images are available as paper prints and wood blocks, and I will be listing new images every day this week starting today, so be sure to come back every day to see new prints! 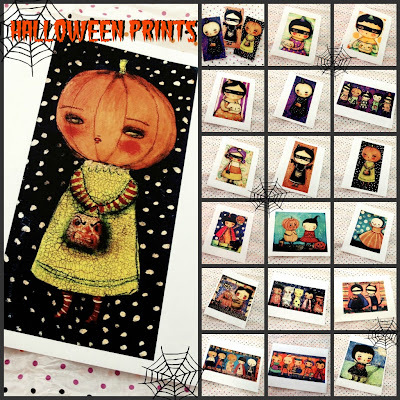 You will be able to order them from the Halloween section from my Etsy Shop to get started early... So come on and join me in celebrating Halloween, the best day of the year! I am STILL not ready to let go of Summer, I always get such a late start. Your work is always gorgeous, will check these out! Hey! These are exciting and interesting new set of prints. I am glad that I found this page. I feel energized because Halloween is coming. I love trick or treats. These prints are very cute!!! Europe doesn´t celebrate Halloween like USA, but I love it!!!! This celebration is very interesting and mysterious.